According to Save the Bay, 417 million plastic micro-beads enter San Francisco Bay every year. This flow of non-biodegradable plastic is unnecessary and threatens the integrity not only of our marine ecosystems but also of our own personal health, as these beads can find their way into the food web, eventually reaching fish that we consume. Ask your legislator to VOTE YES ON AB 888 to ban plastic microbeads by clicking here. Read what the folks at 5 Gyres have to say about the dangers of plastic microbeads here. Steve Mosko has written an excellent article on the problems with micro-beads, read it here. 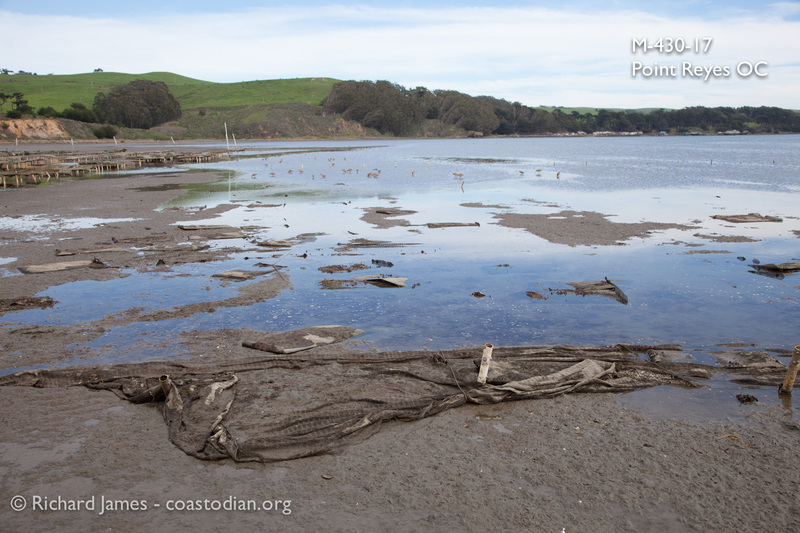 Click the words above “Save our Tomales Bay – Part 22 Leasewalk M430-17…” to see this entire post. 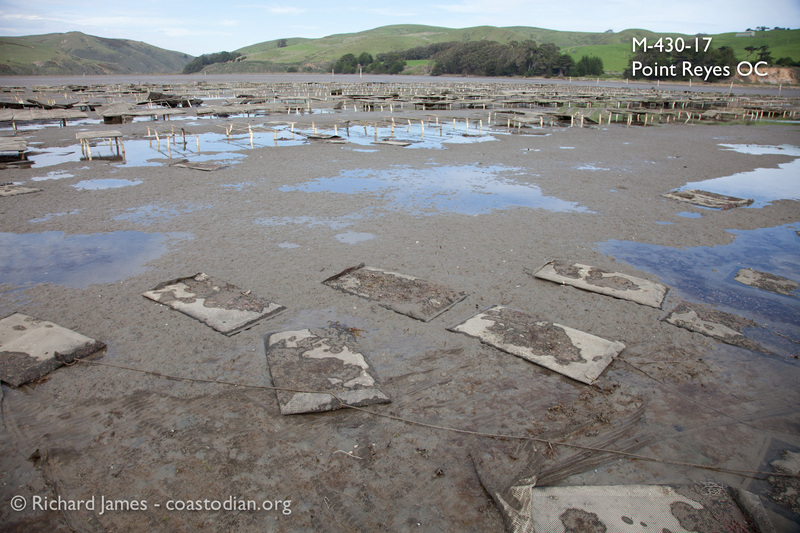 On 14 March I paid a visit to the large lease operated by Point Reyes Oyster Company (PROC) at the mouth of Walker Creek. 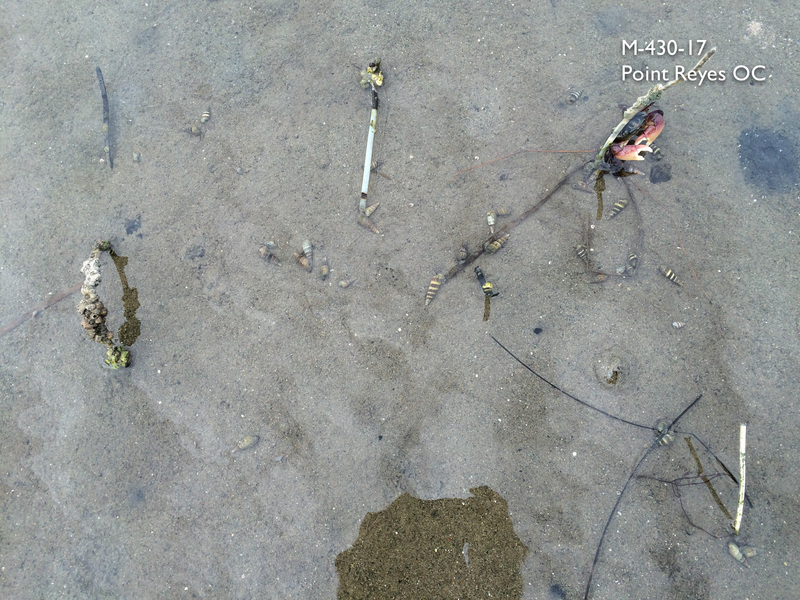 Below you can see some images showing the state of this leased area on that day. 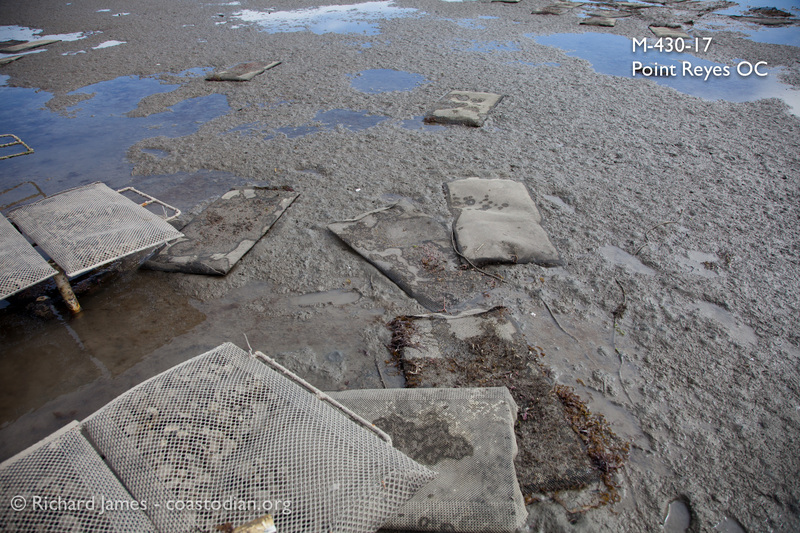 I have lifted and shaken many bags on this lease, and as far as I can tell, all the oysters in these bags are dead. 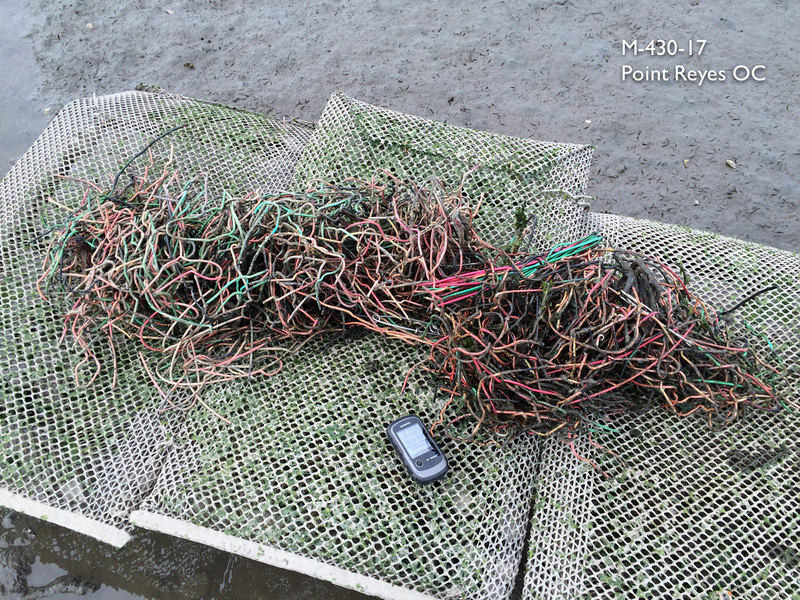 Other oyster growers may be dropping zip ties by the thousands into Tomales Bay, but Point Reyes Oyster Company seems to prefer to drop plastic coated copper wire with the same fervor. 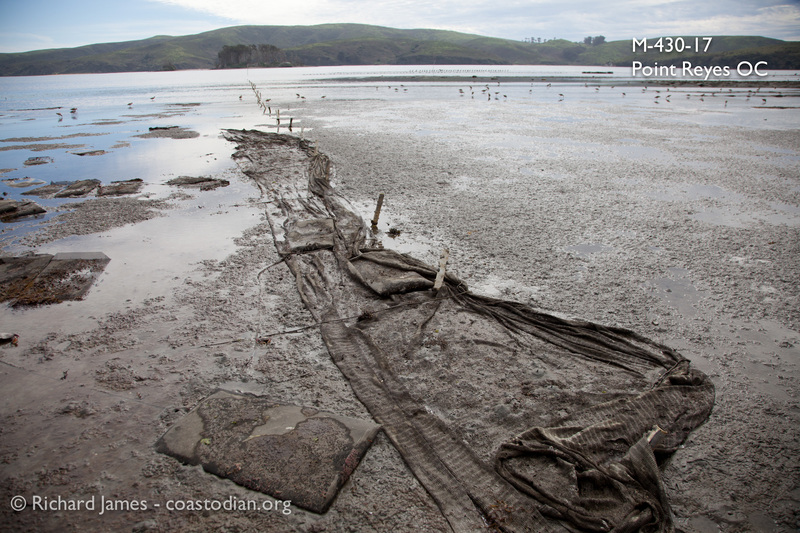 Can all this plastic and copper be good for the native organisms living (trying to live) in Tomales Bay? 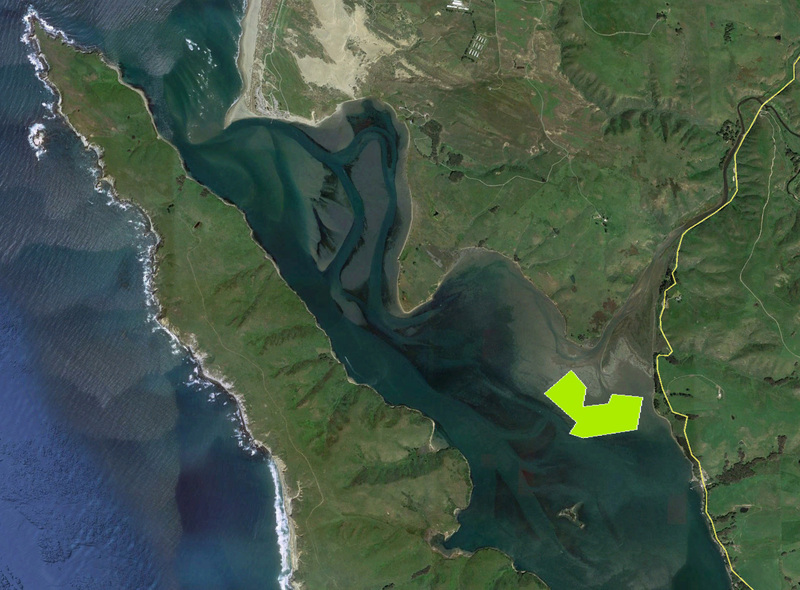 Area in bright polygon depicts lease M-430-17, the area shown in the images below. 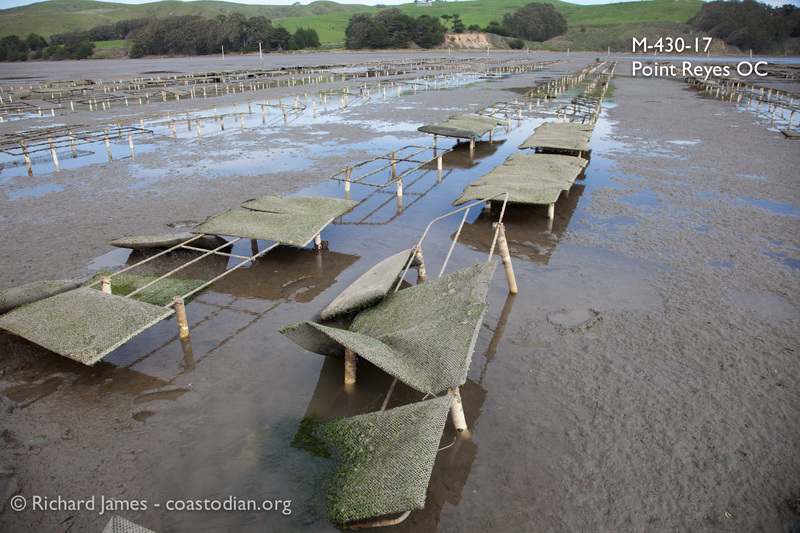 Grow-out bags laying in the mud, racks in a state of disrepair on lease M-430-17, run by Point Reyes Oyster Company. 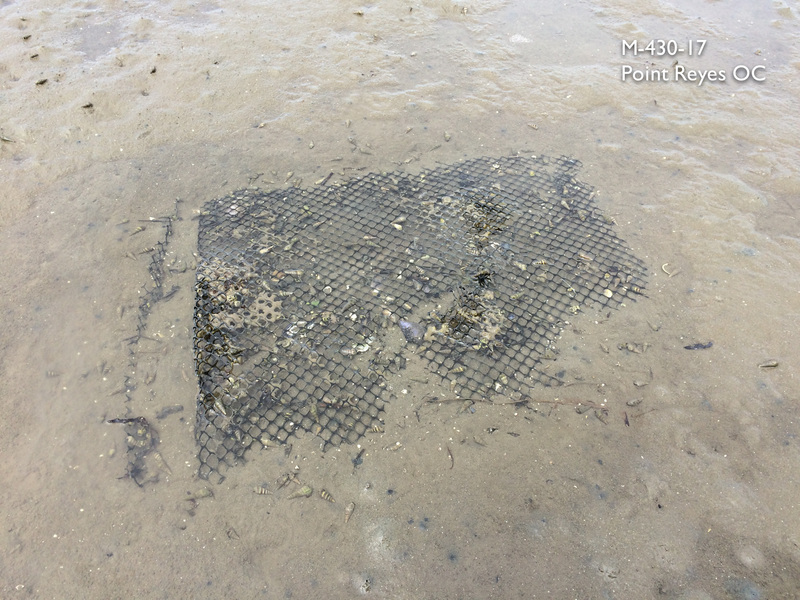 Mystery cloth serving unknown purpose (other than littering) on lease M-430-17, run by Point Reyes Oyster Company. 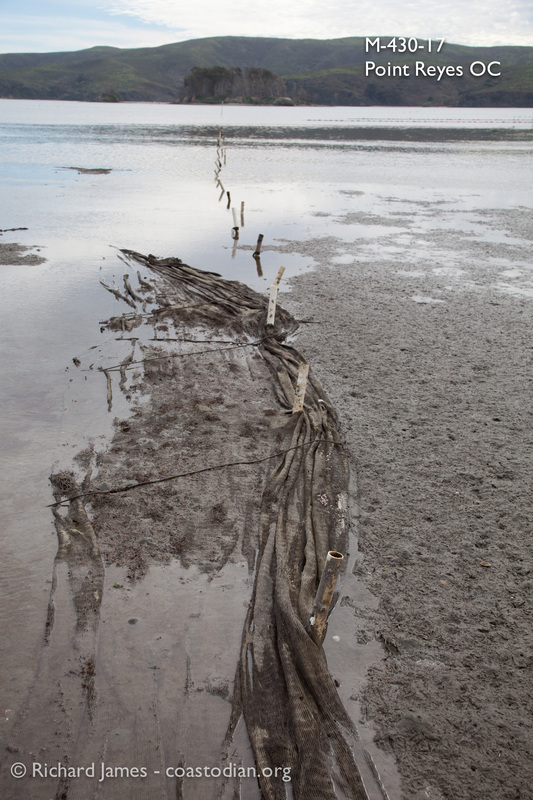 Abandoned grow-out bag laying in the mud on lease M-430-17, run by Point Reyes Oyster Company. 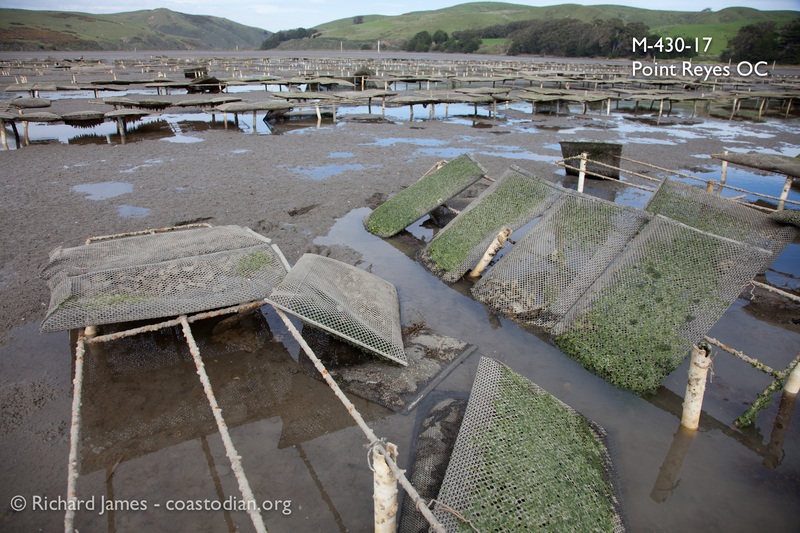 Grow-out bags laying in the mud on lease M-430-17, run by Point Reyes Oyster Company. 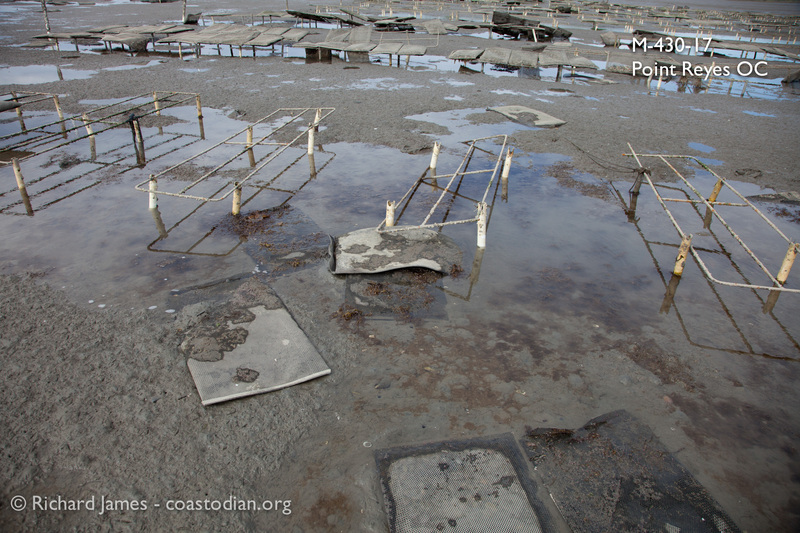 Racks in a state of disrepair on lease M-430-17, run by Point Reyes Oyster Company.